It was pretty light out this morning for a 5:30am wakeup. Some days we wake up and its still dark and cold but there’s something refreshing about a little bit of warmth during the wee hours of the morning. So we decided to do the Half Field Full Field workout this morning. Our legs were a bit sore from yesterday’s sprint workout but for some reason we kept getting faster as we progressed through the workout. We were originally coming in around 36 seconds for our 150yrd run but reps 3-9 seem to progress to a 34sec run and 32 seconds for the last one. It’s good to know that we are able to push ourselves and still maintain form and running technique. This afternoon we are going to go and do a bit of ball work to make sure we are getting touches in before our season starts! For breakfast Jess had planned on going to Zoe’s in the square but she got a bit lazy and decided to just go home and make a bowl of oats. 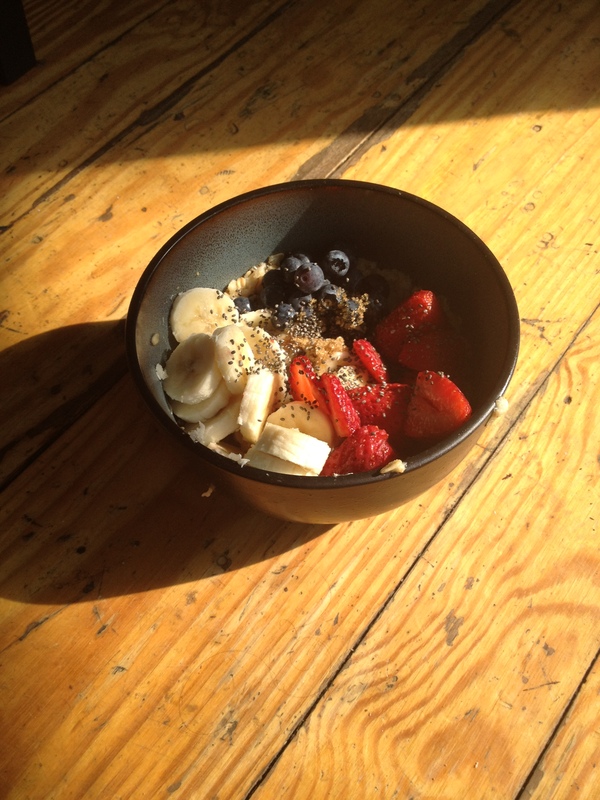 She combined Trader Joe’s rolled oats and water in a bowl and microwaved it for about 3 minutes and then added sliced banana, blueberries, strawberries, a bit of brown sugar and a sprinkle of chia seeds for a finishing touch. 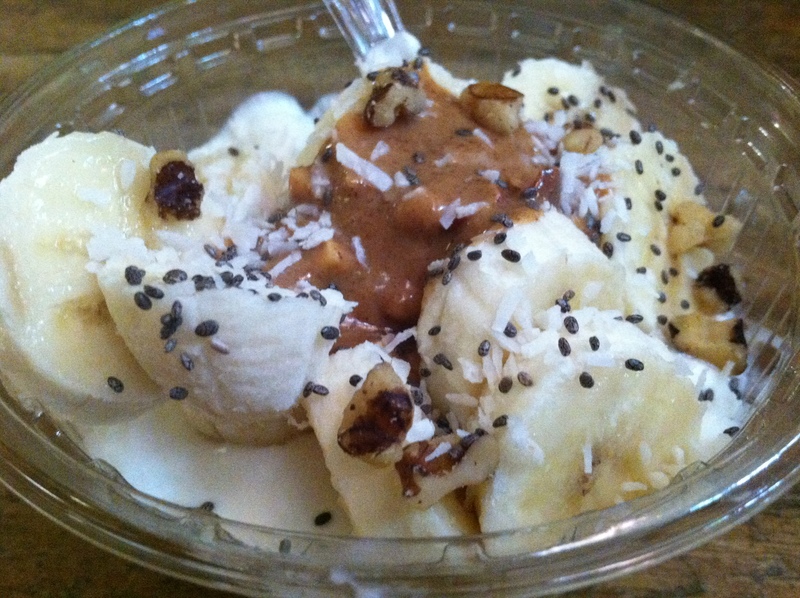 Less decided to have a small bowl of greek yogurt topped with sliced banana, unsweetened coconut flakes, a few walnuts pieces, almond butter and chia seeds. Both of us are satisfied and are probably going to take naps until we have to go to class/work. Do you push yourself more through a workout when you are tired?